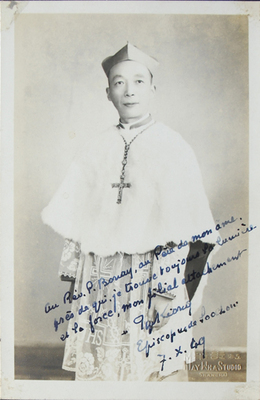 (Bishop) Cardinal Gong Pinmei formal portrait, taken on the day of his Episcopal Consecration. Shanghai. B/W Photo.